How important is planning to your success? Do you really need to plan? How important is planning to your success? A lot of people think of planning as a pain. In many cases, they see it as so painful that they don’t actually bother. In truth, they’re probably right about it being a pain, but they are wrong about not bothering. So what’s the point in planning? Not having a plan is absolutely fine if you have no destination in mind. But if you do know where you want to be, then planning is essential to help you get there. What will planning do for me? How much planning do I need to do? To a very large extent, that’s up to you. A plan is a tool to help you get where you want to be. It’s an important tool, but it is just a tool. Don’t spend so much time planning that you don’t do anything else! what I have to do today is clear, and I break that doen for my ‘To Do’ list. For deliverables, I always include review time. if I finish writing or recording a product today, I’m not going to release it tomorrow before it’s been quality checked! A typical task atthis level will take a week or longer. These are effectively equivalent to the level 1 tasks on the spreadsheet example below. So how long will all this planning take me? Once you get into the habit, it won’t take very long at all. The daily updates, and writing out a to do list should take around 15 minutes. Initially, it might be up to 30 minutes, but any longer, than that, and you’re doing too much. The weekly updates will take a little longer, but not much. Once you’re in the swing of it, maybe half an hour a week, although initially it may be up to an hour. So for the sake of a couple of hours a week, you have a solid plan that will enable you to deliver the detail in the short term without losing site of the long term goals. Are there any tools I can use? Yes there are, but beware! But it’s expensive, and if you don’t already know how to use it, can be over complicated for what you need. It has a huge number of features that you are unlikely ever to use, and that can make life difficult for you. That said, if you do know Microsoft Project and how to use it, but don’t want to buy it, Project Libre is a good, and free alternative. In fact, I use Project Libre myself, and it does everything I need it to. But it’s important not to get too hung up on tools, and to remember what a plan is, and what it’s for. In reality, it’s just a list of things you need to do and when you need to do them. A pena nd paper works quite well. The problem is that plans change, and you can end up having to write the whole thing out again pretty regularly. With that in mind, many people just use a spreadsheet and that works perfectly well. Enter your details in the form to the right to join me on my journey. 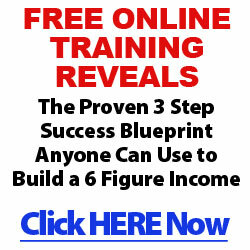 You’ll also get a very special free gift to prepare yourself for your own success.